That, my friends, is real snow. And no, these photos are not Photoshopped. This one is from Japan, taken in the main island of Honshu. After cursing the weather yesterday and today, these photos kind of make me feel like a wimp. But having said that, the blizzard yesterday was scary. I was coming from Madrid at night and the landing—preceded by a 45-minute flyover delay—was terrifying. I had to come to my home in the subway because all roads were collapsed, even while there was barely a few inches of snow in them. 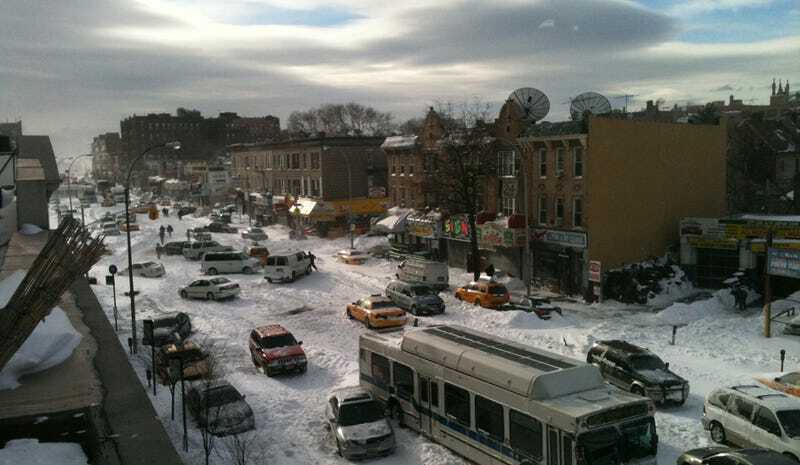 Update 1: A reader sends another angle of the first NYC photo, by Sarah Nicole Prado Lopez.